Our heavy-duty hardwood planters are made to last and will enhance and complement any environment. The planters are bespoke made to any size and shape. 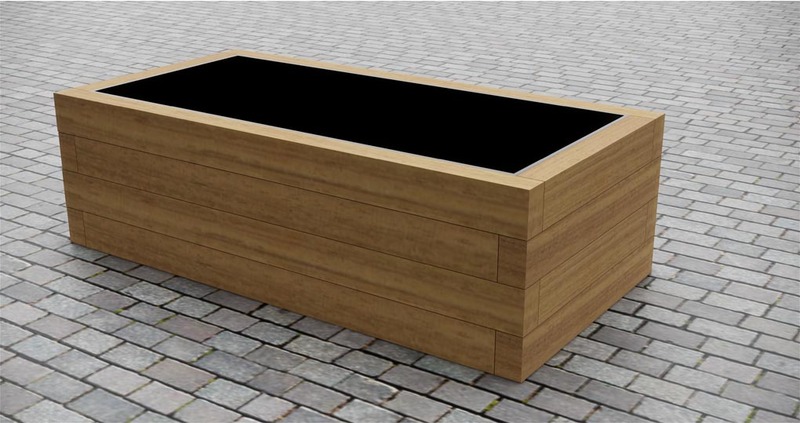 We offer the planters in a wide variety of timbers and finish options including natural or charred Oak, FSC hardwoods, Larch or Accoya wood. The planters are fully lined and can be fitted on site.